According to the Center of Disease Control and Prevention, the rate of falls in a living facility is twice the rate of falls which occur for elders living in the community. My experience of working exclusively with older adults over the past 11 years has allowed me to see first-hand how effective Balance & Stability Training is in preventing devastating falls which can lead to psychological trauma, physical injury and even death. 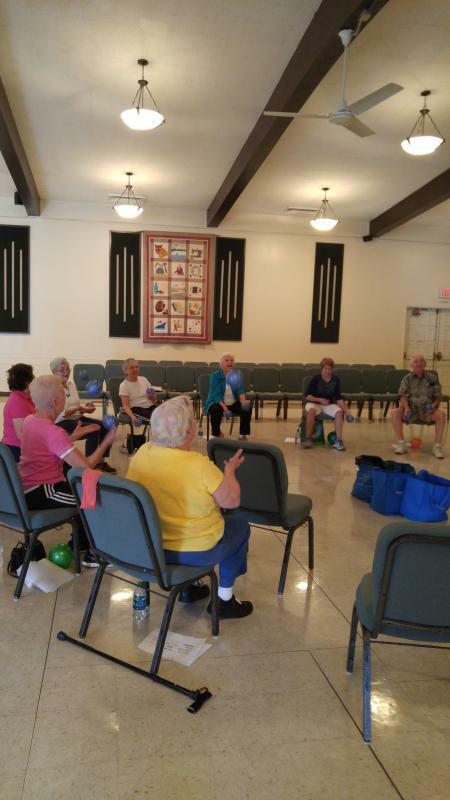 My goal and passion is to help seniors at every level live a safer, stronger and fulfilling life through the Balance & Stability Training classes. The Balance & Stability Training classes, which I have developed over the past several years include activities that work different components of the balance system of the body: vestibular, visual, proprioception, flexibility, gait, agility, and coordination. These numerous factors that affect our balance call for multiple modules of movement and educational training. Providing the right tools and instruction to enhance and maintain optimal physical and mental health benefits seniors and promotes the highest quality living environment for all involved. $5 residents, $6 non-residents per class.